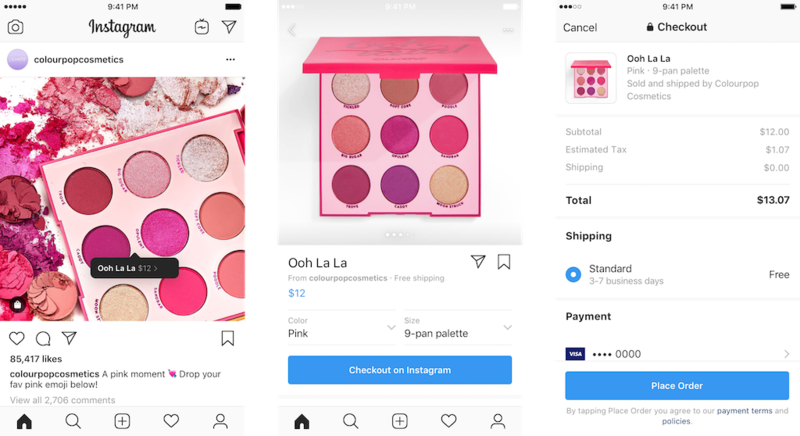 Since the app is increasingly used by influencers and fashion brands to showcase clothing, footwear, and other hot products, it's no surprise that Instagram has worked to build out its shopping features. Purchase links appear in Stories, you can save collections of potential buys for later, and there's even been talk of a standalone shopping app. Wouldn't it be even more convenient if you could just shop from within the Instagram app itself? Of course it would, and that's exactly what we're getting. With Instagram Checkout, you'll never have to leave the app again. If you see something you like while browsing, look out for the "Checkout on Instagram" button. After selecting your chosen color/size, you just need to enter your name and email followed by billing and shipping information before completing the purchase — easy peasy. More brands will be added shortly, and if all goes well we can expect to see the feature rolled out more widely. You'll probably be able to buy stuff with Facebook Coin soon, too. What fun!